I think that I already told you that my husband is not a big fan of chocolate. He doesn’t like chocolate cake, hot chocolate, chocolate bars or anything related to chocolate. So when he says that he really likes these brownies, is because he REALLY likes them. Granted, he likes them best when he mixes them with vanilla ice cream, but who doesn’t? I, on the other hand, love anything that tastes like chocolate, and these brownies are no exception. Some times I even spend $2 when I’m at work for a small brownie because I can’t walk passed them without having a bite. But I do have to say that the ones I make at home with this recipe are way better. 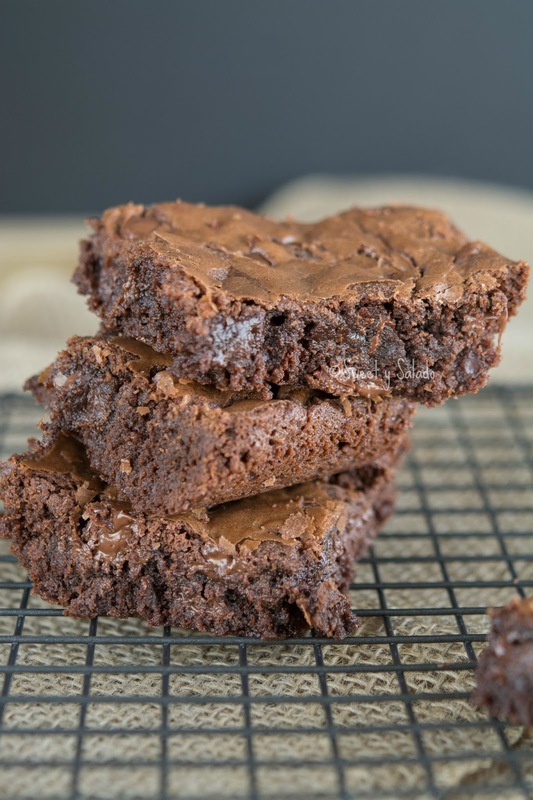 Making brownies is one of the easiest things you can make and to get a really good texture you should not over mix the batter. It’s very important not to go overboard with the mixing. 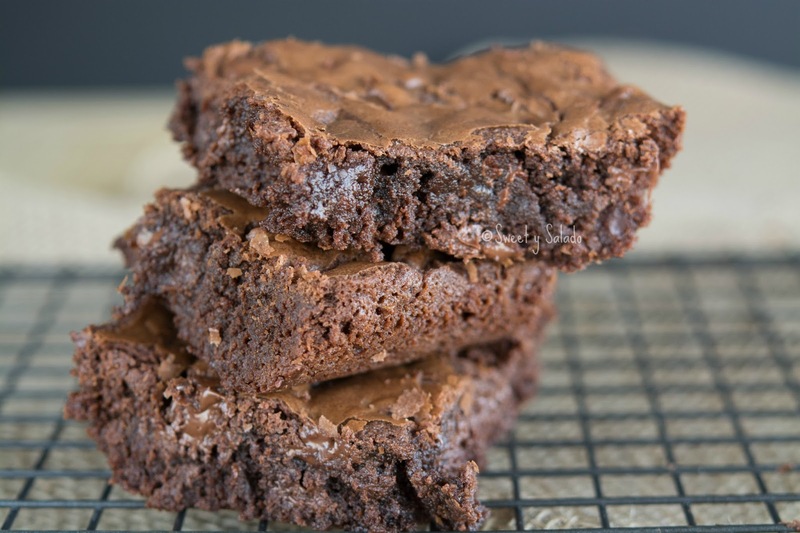 So, if you always end up with hard, really thin brownies, this could be the reason why. Pre-heat the oven at 350ºF (180ºC). Mix the flour, cocoa powder, baking powder and salt in a medium bowl. Set aside. In a medium pot melt the butter on the stove over medium low heat. Remove from the stove and let it cool slightly. Place the melted butter in a large bowl and mix well with the white sugar. Add the eggs one at a time and beat just enough to incorporate them. Then add the vanilla extract and mix again. Now add the flour mixture and mix to incorporate. Make sure to scrape off the sides and bottom of the bowl with a spatula. Finally add the chocolate chips and mix. Pour the batter into a greased 8 x 8 inch (20 x 20 cm) pan and spread evenly. Bake for about 25-30 minutes or until the sides of the brownies start to pull away from the pan. Do not overcook. Let them cool completely before serving.